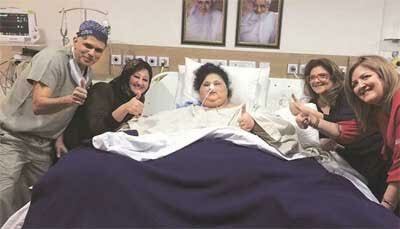 Mumbai: Indian doctors said that an Egyptian who was believed to be the world’s heaviest woman had successfully undergone weight-loss surgery after losing over 100 kilograms (220 pounds). 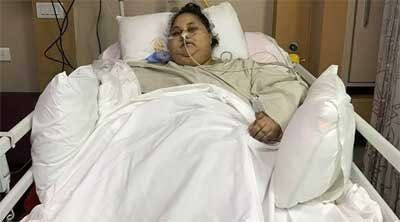 Eman Ahmed Abd El Aty, who previously weighed around 500 kilos, had not left her house in Egypt in over two decades until arriving in Mumbai last month for bariatric surgery. “We are happy to inform all well-wishers that the medical team of Saifee Hospital has successfully performed the surgery on Eman Ahmed,” said a statement. “Eman successfully underwent a Laparoscopic Sleeve Gastrectomy on March 7th 2017 at Saifee Hospital. She had an uneventful surgery and anaesthesia course. “She is now on oral fluids and accepting them well. The future course of action for the medical team working on her will be to correct all her associated medical problems, to get her fit enough to fly back to Egypt as soon as possible,” it added. A spokeswoman for Dr Muffazal Lakdawala, who is leading Abd El Aty’s treatment, said the 37-year-old Egyptian’s weight had been brought under 400 kilograms since she arrived in Mumbai in early February. “Eman has lost over 100 kilograms and has been shedding weight gradually on a daily basis with all the treatment and support,” she told AFP. The Egyptian, who is from the Mediterranean port city of Alexandria, was flown to India’s commercial capital in a specially modified Airbus on Saturday 11 February for treatment. Abd El Aty’s sister had approached Lakdawala, a specialist weight-loss surgeon, in October, saying her sibling needed urgent medical attention. 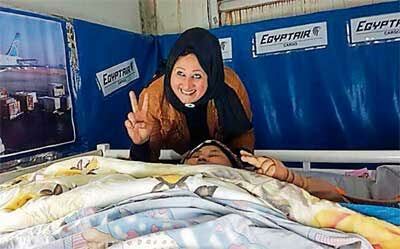 Abd El Aty had a long wait as no airlines were willing to fly her due to her health complications. Bariatric surgery is a stomach-shrinking bypass procedure carried out on those wanting to lose excessive weight. 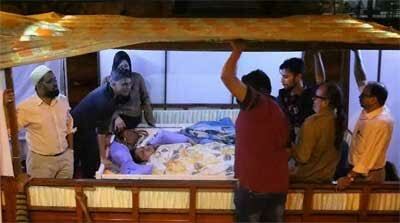 It is increasingly common in India, which has a growing problem with obesity, particularly in urban areas. It is simply a great thing performed by our friends. Congrates.